I’ve yet to accomplish that goal, but I still try. I’m usually up at midnight (or later) on Christmas Eve playing Santa and wrapping every gift I’ve ever purchased in my life - or that’s what it feels like. I’m shooting for somewhere in the middle this year because I would like to actually enjoy Christmas Eve and all of the festivities leading up to the big day. All that being said, I’ve sketched out my girls’ stocking stuffer list and will gather all of the goodies as I see them. In the past, I’ve put stuff in the stockings that ends up going in the trash. I’m working on intentionality in life in general - even stockings. Hopefully, we won’t end up with lots of stocking trash. These pretties came from a mom-owned shop, and I can’t get over how fun they are! The girls love talking about their names - how to spell them, how to write them…so these will be lots of fun. There are cute shapes in her shop as well as other fun gift ideas. Find Whitney and her amazing creations over on Instagram @colorpopcrayons. She’s taking Christmas orders through December 12th. We get a monthly TubbyTodd bath bomb subscription - 3 bombs a month, and ALL of us in this house love bath nights with our bath bombs. They are made from plant-based ingredients, they don’t stain and they smell AMAZING. I’m going to break up a set of 3 (and have an extra for a rainy day), wrap them in cellophane bags and put them in their stockings. Kara tipped me off to this cute idea - so, I definitely copied her. 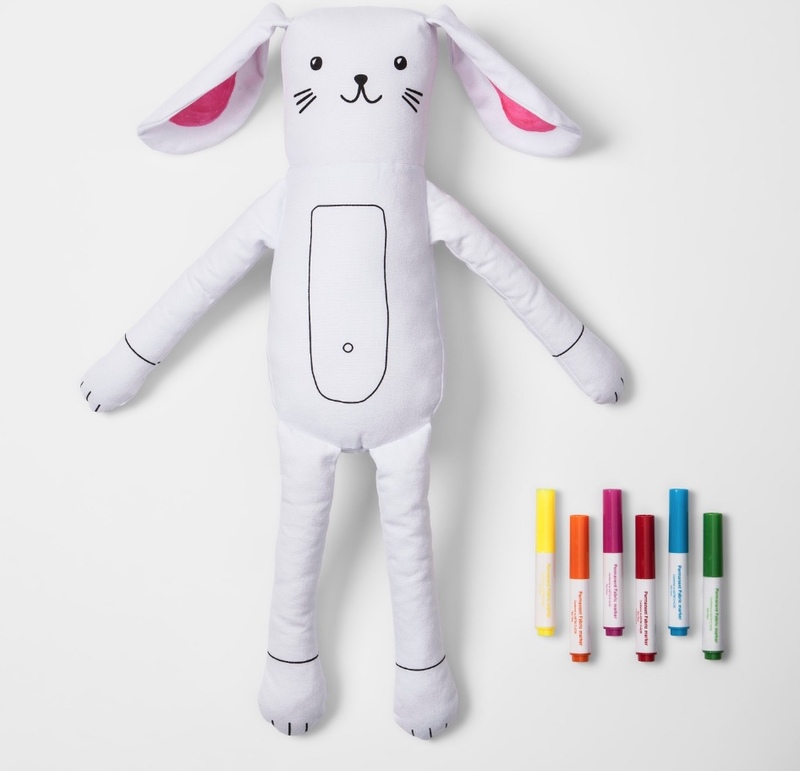 These plush dolls are 12” tall and come with fabric markers to finish out their look. Kara got Asher the knight, and I got both of my girls the girl doll. We love a craft over here, so this will be a hit! I picked these up at a local Target, but they’re also available online. This is on my list to pick up on an errand day at my favorite local store, Feliz Modern. My girls LOVE nail polish, and Palate makes the most fun colors that are named after food! I’ll probably snag that fun Jawbreaker confetti color along with a bright pink or purple…and maybe one for me? 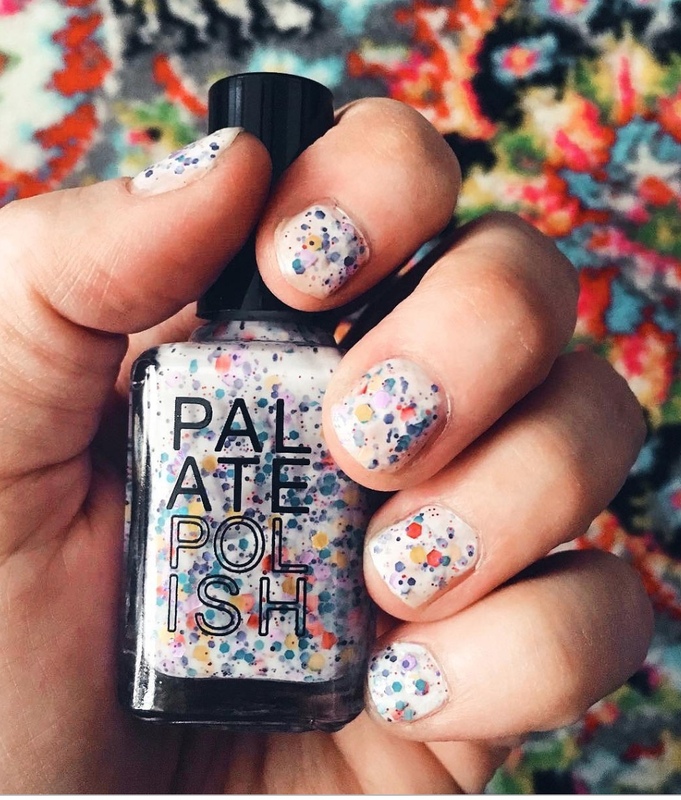 Palate is also a 5-free and vegan nail polish. 5-free means it has been formulated without the following toxic ingredients: toulene, formaldehyde, camphor, formaldehyde resin and dibutyl phthalate. Kara is a genius and created this interactive grocery store card game. The girls already have this, but it’s one of my #1 kiddo gift suggestions and fits perfectly in a stocking! You get 26 cards featuring fruits and veggies and the alphabet. Grab a card, take it to the store and let your kiddo find the fruit or veggie on the card. Then, take them home and follow the simple recipe on the back of the card. We’ve had so much fun with our cards! My personal love of makeup is rubbing off on my children…not to mention that they’ve both had to wear it for ballet recitals. They love putting on lipstick (basically I give them my old light lip colors and let them play), so when Root had their amazing sales on Cyber Monday, I snagged a Ballet Pretty Balm for each of the girls at half off! They’ll be thrilled to have their own. Root is vegan, non-toxic, cruelty free and made in the USA. 31 Bits works with artisans across the globe to provide a marketplace for their beautiful handcrafted items. These paper bead necklaces were made in Uganda, and the cute unicorn charm was made in Indonesia. I love this company, their mission and this cute necklace. All necklaces on their site are 25% off this weekend only (12/1-12/2). The unicorns are waitlisted, but they have a kitty cat, ice cream cone or a necklace without a charm. That’s about it for our stockings. I picked up a big candy cane for each stocking, and if I see some, I might grab some Spry Gum. I found some cute fuzzy kids’ socks in the “Dollar Spot” at Target and decided to go with it. $1 socks are probably not made to last the long haul, but they’re cute, fuzzy and girly. Art supplies are another go-to for us. I love the KId Made Modern brand at Target for something different. Happy stocking stuffing to you and yours!